An OVERKILL’s The Walking Dead Closed Beta will take place on PC, starting October 9th, as announced by Starbreeze, Skybound and 505 Games. The only way to be sure of getting in the OVERKILL’s The Walking Dead Closed Beta test is to pre-order the game. Doing so will grant you one beta code if you get the Standard Edition and four beta codes if you purchase the Digital Deluxe Edition (more details of which you can find below), giving you three extra codes to share with friends. The developers recently hosted a livestream, showcasing new gameplay footage of the Underpass level originally demonstrated behind closed doors at Gamescom 2018. 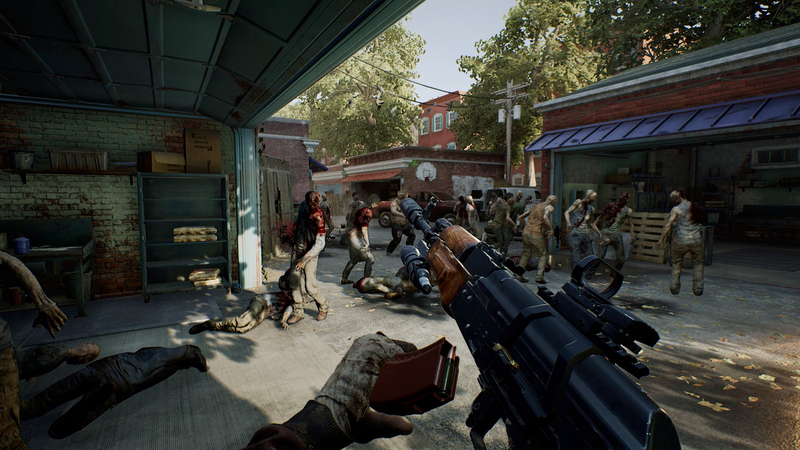 As a reminder, OVERKILL’s The Walking Dead is due to launch on November 6th on PC, while the PlayStation 4 and Xbox One release has been delayed to February 6th, 2019 in the Americas and February 8th, 2019 in Europe and elsewhere in the world. It is presently unclear whether there’ll be an additional beta test ahead of the console releases in early 2019. The Deluxe Edition of OVERKILL’s The Walking Dead is for all true survivors and fighters in the desolate city of Washington D.C. It’s dangerous out there, so make sure you load your backpack with all the extra gear you can get before you venture out onto the streets of Washington D.C.
Pre-order now and get additional in-game content.